Winners’ Camp Foundation is extremely grateful to be the recipient of a grant from the Visitor Industry Charity Walk this year. The Charity Walk is sponsored by the Hawaii Lodging and Tourism Association. Since 1978 the Charity Walk has raised over 32 million dollars for Hawaii 501(c)3 organizations and we at Winners’ Camp Foundation are very thankful for being included in their allocations this year! The grant will be used for Winners’ Camp Scholarships to teens in foster care, families who demonstrate financial need and disenfranchised teens. 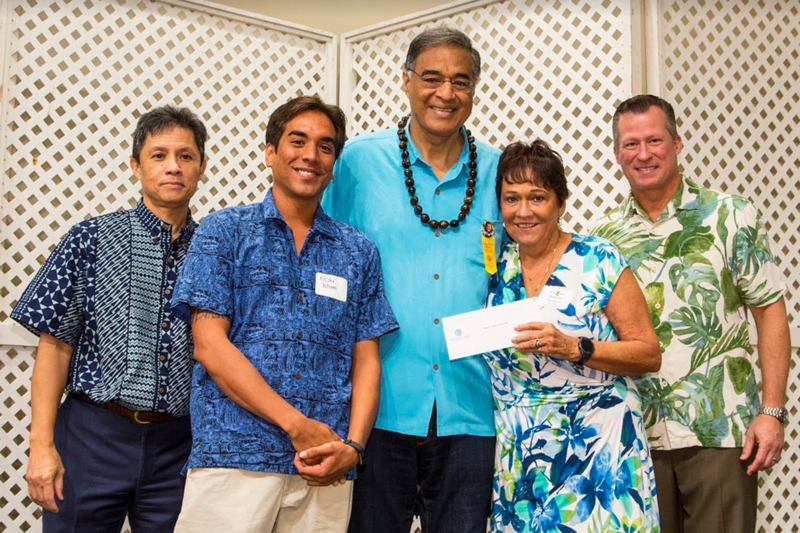 Photo: Winners’ Camp representative Kili Williams and Winners’ Camp Foundation President Delores Sandvold receiving the grant from CEO of Hawaii Lodging and Tourism Association Mufi Hanneman.